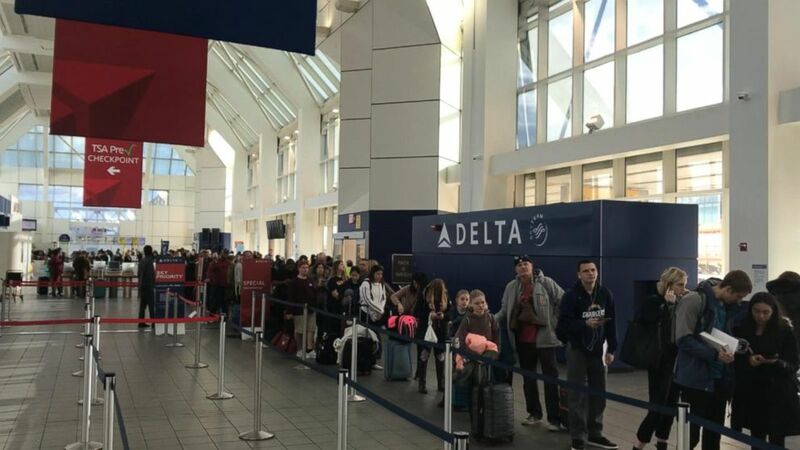 Hundreds of frustrated travelers were stuck on snaking lines inside the Delta Airlines terminal at LaGuardia Airport in New York City Sunday afternoon, as a handful of airport employees tried to keep calm amid increased callouts by TSA agents during the government shutdown. The massive lines at the airport happened as the partial government shutdown entered its third week and callouts by agents with the Transportation Security Administration ticked up, according to statistics from the agency. Passengers seemed to be feeling the effects on Sunday, as airport employees who showed up tried to manage the endless lines. The airline declined to comment about the delays and the possible effects the government shutdown may be having on travel. Other passengers said the delays at LaGuardia, which is under a massive rebuilding construction project already, reached a new low. A Transportation Security Administration officer works at a checkpoint at Miami International Airport, Jan. 6, 2019, in Miami. It was impossible to determine the exact impact the shutdown had on Sunday’s delays. But the shutdown, which has left roughly 800,000 federal employees without pay, has affected a wide range of professionals, from members of the Coast Guard to air traffic controllers. Negotiations between congressional Democrats and the Trump administration to reopen the government have stalled over the president’s demands for border wall funding. Jan. 11 is the first scheduled payday that will be missed for federal employees in affected roles since the shutdown began. At airports across the country, TSA workers were reportedly calling out sick at higher rates than normal. 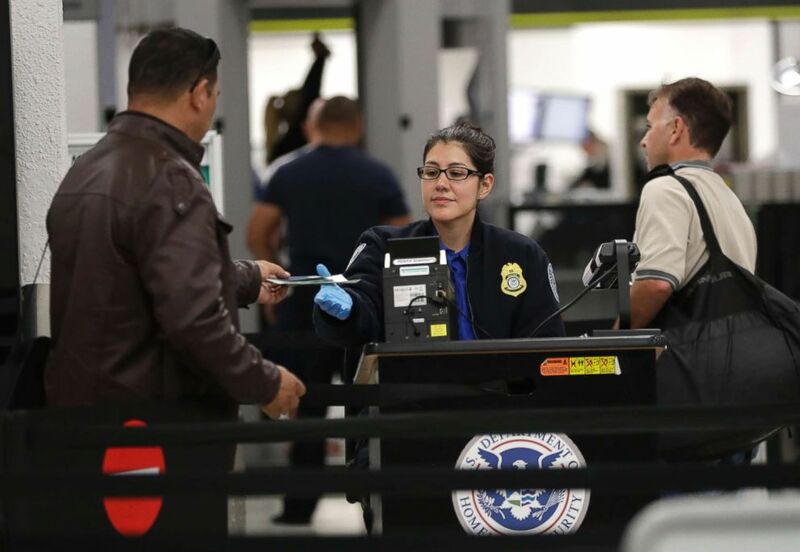 James Gregory, the deputy assistant administrator of public affairs for the TSA, said the agency is “not seeing any significant increases in average wait times or callouts.” He added that it was a “normal occurrence” at this time of the year. 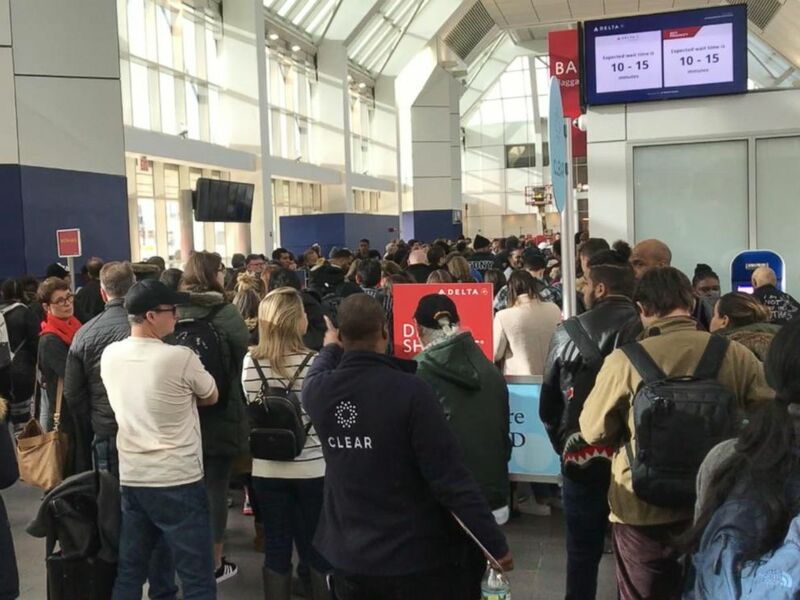 Hundreds of travelers were stuck in lines at LaGuardia Airport on Jan. 6, 2019, amid increased callouts by TSA agents during the government shutdown. “It’s also worth reporting that we are grateful for the more than 51,000 agents across the country who show up to work, remain focused on the mission and are respectful to the traveling public as they continue the important work necessary to secure the nation’s transportation systems,” he said. Michael Bilello, the agency’s assistant administrator for strategic communications and public affairs, said staffing levels at Dallas/Fort Worth International Airport were slightly down. On Friday, the callout rate was 5.5 percent of workers, compared to 3.5 percent on a “normal” day, Bilello said. “Could be transportation, kids are home from school for the holidays,” he added. “But, you know, there probably are some folks in there that perhaps are not coming in because they’re frustrated or because they’re looking for other jobs. 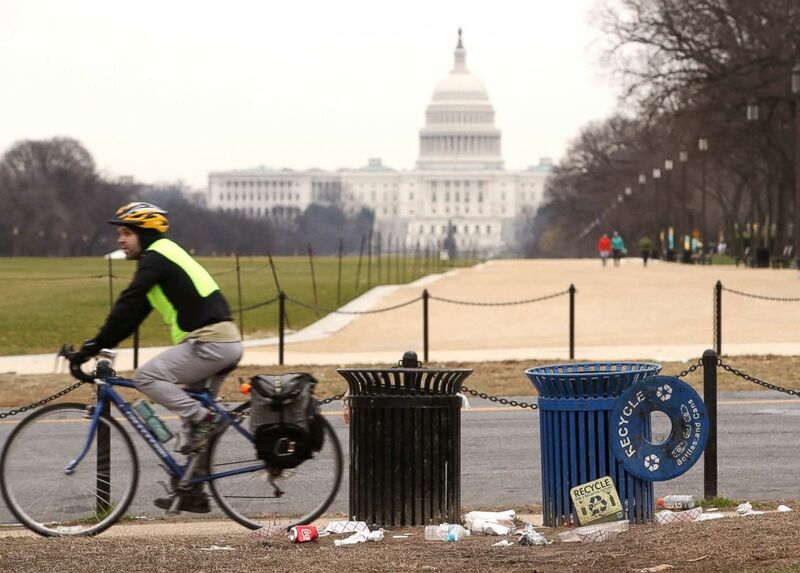 Trash lays on the grounds of the National Mall as the partial shutdown of the U.S. government goes into the 12th day, on Jan. 2, 2019, in Washington, D.C. Still, wait times at the airport never exceeded 25 minutes, he added, precheck travelers never waited longer than 8 minutes. Of all of the travelers at TSA checkpoints Friday, more than 90 percent of them waited less than 15 minutes, he said. On Thursday and Friday, more than 4 million travelers nationwide were screened, Bilello said. The vast majority — in the 90th percentile — didn’t have to wait more than 15 minutes, he said. At other airports in big cities like Houston and Chicago, delay times seemed to be normal. And Bilello disputed reports that more than 150 TSA agents called out sick at JFK International Airport in New York. Bilello attributed the delays to normal slowness at the end of the holiday season. Whatever the effect, flyers seem to be factoring in the shutdown and the threat of TSA agents calling out sick into their travel plans. ABC News’ Amanda Maile, Meridith McGraw and Azure Gilman contributed to this report.